The acclaimed filmmaker behind ‘Boyz n the Hood’ talks to Stereo Williams about how the worlds of film and hip-hop merged in the ‘90s and competing with Tupac for Janet. John Singleton has been telling stories in Hollywood for the better part of 30 years. The man who directed Boyz n the Hood and landed a Best Director Academy Award nomination at 23 is part of a vanguard of black filmmakers who defined the ‘90s—alongside names like Spike Lee, Matty Rich, Julie Dash and F. Gary Gray. When Singleton looks back at those early days, he doesn’t sound wistful or nostalgic, he just sees his early work as a young man figuring it out while trying to tell compelling stories as best he could. 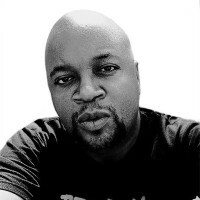 Singleton followed Boyz n the Hood with 1993’s Poetic Justice, a film that did well at the box office and became beloved among fans. It tells the story of South Central hairdresser Justice (famously played by Janet Jackson) who withdraws into poetry after witnessing her boyfriend’s (rapper Q-Tip) senseless killing. She eventually meets postal worker Lucky (Tupac Shakur) and they form a bond. The movie received middling reviews from mainstream critics, but remains a standout in Singleton’s canon and one of his most enduring films. That “big wave” included both Boyz and Poetic Justice alongside 1995’s topical college fable Higher Learning and 1997’s period piece Rosewood. Singleton was carving a space for his voice and voices like his. But he was still very young—and that’s the “learning on the job” that came along with his major Hollywood filmmaking. His early-twenties success made him a fixture among black influencers of the time and his age meant that he was connected to a wave of young black artists emerging out of hip-hop. Singleton worked with a litany of rappers like 2Pac and Ice Cube (alongside Tone Loc, Busta Rhymes, and the aforementioned Q-Tip.) When he thinks about that time now, he sees the way hip-hop emboldened his generation. And he recognizes that what was happening then was indicative of then, and not something that can be contrasted with what came before or after. And as for working with so many musical artists, Singleton’s connection with them was as friends, first and foremost. He surrounded himself with the people he genuinely liked. Singleton has shared that he advised 2Pac to forego his career in hip-hop to focus on movies. It’s something that people laugh about now, but at the time, Singleton saw more in Pac as an actor. And he wasn’t altogether silly for saying so—despite his own chagrin when telling the story today. And the Janet Jackson HIV test rumor/joke that emerged as Poetic Justice was hitting theaters remains something he believes got blown out of proportion. He’d also been vocal in his dismissals of some of the popular black rom-coms of the late 1990s/early 2000s. Back when Singleton was promoting his 2001 film Baby Boy, he believed that mainstream black films were settling, but today he realizes that it’s not about “messaging” people to death. As John Singleton has grown as a filmmaker, helming action hits like 2 Fast 2 Furious and Four Brothers, and as a producer (Hustle and Flow, Black Snake Moan), he’s made a significant mark on the landscapes of film and television. Decades after Boyz n the Hood and Poetic Justice, his FX hit Snowfall is set to enter its third season—an ambitious series about how crack affected Los Angeles in the 1980s. Singleton, along with Lee and many others, has done great work on TV in recent years, but he’s not a person who believes television has usurped cinema as far as telling uniquely individual stories. John Singleton believes the fight is going to be there—no matter the platform. And he’s more than willing to continue the battle for black voices. Poetic Justice and Higher Learning will be released to Blu-ray on February 5.